Systematikdagarna 2018 will take place at Lund University November 26-27. The conference is jointly arranged by Svenska Systematikföreningen, the University of Lund and Artdatabanken (SLU). Systematikdagarna is the yearly conference on systematics arranged by the Swedish Systematists Association. The meeting is open for anyone interested in systematics; amateurs, working systematists, and users of systematics in any form. The conference will be mainly held in English so that non-Scandinavian participants also can benefit from the conference. The annual meeting of Svenska Systematikföreningen will be held in Swedish. 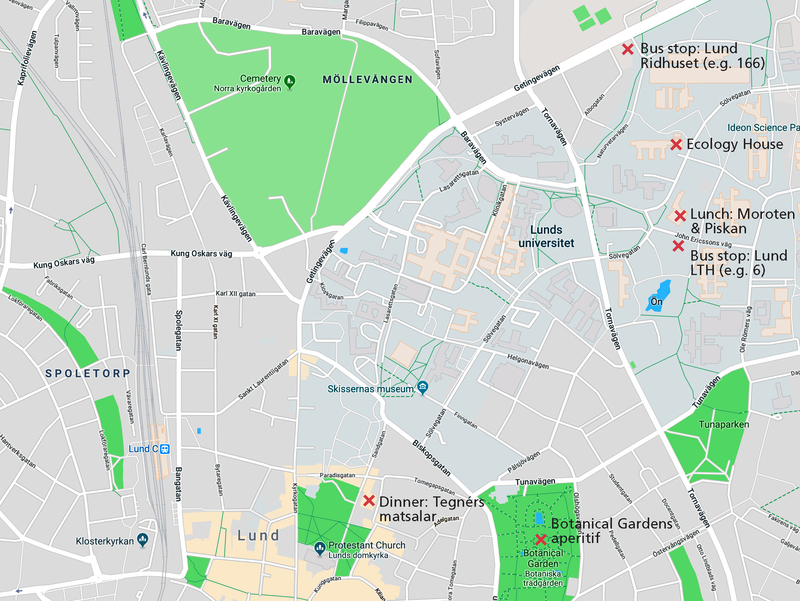 The conference will be held at the Department of Biology, Lund University in the Blue Hall of the Ecology Building (Blåhallen, Ekologihuset). In addition to the Department of Biology, the entomological collections of the Biological Museum are housed in the same building. 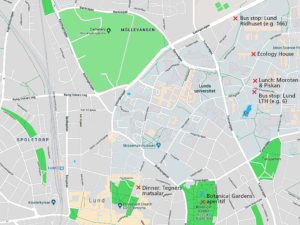 The Department of Biology is located at the northern edge of Lund (Sölvegatan 37) and connections to the area from central Lund are frequent and fast. The conference dinner will be served at AF, Akademiska Föreningen, in the historical city center. We hope that as many as possible will be able to give an oral or poster presentation during the conference. If you wish to give an oral presentation, the last day for registration and abstract submission is October 31. Poster abstracts can be submitted until the last day of registration (see below). Type of presentation is specified in the registration form. Presentations will be 15+5 minutes. Poster boards measure 120 cm wide and 170 cm tall. When registering, please specify the title of your presentation, the author list, and a short abstract (maximum 1000 characters). 600 SEK per person, which includes conference fee, “fika”, lunch and conference dinner in the evening of November 26. For those who do not wish to participate in the dinner, the conference cost is 300 SEK. After October 31, the registration fee increases with 200 SEK. Please register here to participate in Systematikdagarna 2018, preferably before October 31. After October 31, the registration fee increases with 200 SEK and the absolute registration deadline is November 11. Note also that last day for registration and abstract submission for oral presentations is October 31. If you have any questions about Systematikdagarna, don’t hesitate to contact niklas.wahlberg@biol.lu.se. If you have problems with the site, or the registration, please contact webmaster Anja (webmaster@systematikforeningen.se). We are looking forward to meeting you all in Lund! Two plenary talks will pave the way for the rest of the conference. On Monday 26 November, Catarina Rydin (Stockholm University) will talk about the macroevolution of the mysterious Gnetales, and on Tuesday 27 November, Martin Irestedt (Naturhistoriska Riksmuseet) will tell us about the power of museomics for understanding bird of paradise phylogenetics. We have several invited speakers as well, Nicolas Chazot (University of Gothenburg), Petra Korall (Uppsala University), Martin Ryberg (Uppsala University), Johannes Bergsten (Naturhistoriska Riksmuseet) and Jadranka Rota (Lund University). 11:20 Talk: Jadranka Rota Diversification dynamics in metalmark moths (Lepidoptera, Choreutidae): what is more important; colonizing a new area or a new host plant? 13:30 Talk: Anja Rautenberg Historical populations as World Heritage? 14:20 Talk: Heléne Aronsson Experts vs data: How well do IUCN range maps for birds match occurrence data? 15:50 Talk: Allison Perrigo The Gothenburg Global Biodiversity Centre: two years in and looking forward!